Everyone makes mistakes. Too many drinks and a bad decision to drive, involvement with the wrong people, or any number of other circumstances may have landed you or someone you care about in serious trouble with the law. What matters now is the next decision you make. Please don't face felony or misdemeanor charges in the Jackson, Mississippi area, without a caring, experienced lawyer on your side. I am Cody Gibson, a dedicated attorney who will hear you out, look at all the angles on your case, and work hard to protect your record and your future. I have helped many people avoid the worst consequences of various criminal charges. You can turn to me for focused, affordable and effective representation, beginning with a free consultation. In this pivotal time, you need a lawyer you can talk to and trust to put your interests first. If you have been wrongfully accused or your rights were violated, I will focus on proving exactly that. If pleading guilty and negotiating for manageable consequences is the best path, I will know what matters to you and target the best outcome possible. 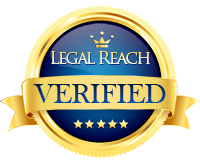 Please contact me now for the legal help you need.